Let’s all get behind the winner. Unless this man loses. As we eagerly await the results of Labour’s leadership contest, it’s worth reminding ourselves in the party that, whoever wins, we need to get behind and support the leader. The contest is really only between David Cunliffe and Grant Robertson. While the preferences of those who vote for Shane Jones may be crucial in determining who wins, Jones will know he doesn’t have the numbers; and his supporters, while disappointed, won’t be particularly surprised when he comes third. But supporters of either Cunliffe or Robertson will be in pain on Sunday, and some of them will be fuming, and not a few will feel a sense of despair. However, the most damaging thing possible for the party after such a well-behaved and civilly-conducted leadership contest, would be for the loser’s partisans to start bickering or throwing insults, or to accuse the party of having made a fatal mistake. The worst possible outcome would be one where supporters of the loser threw their toys out of the cot and vowed to do everything possible to destabilise the winner. If, for example, prominent left-wing blogsites decide to wage war against the winner, that dissension will be seized upon by the news media and by enemies of Labour, and any hopes of unity the party may have had as a result of this contest will disappear. So whatever happens, we need to stay calm and keep our heads. Because if David Cunliffe loses, nothing I have written above will apply. None of it. Not a word! It will be a fix, a disaster, an unspeakable outrage, a crime against democracy, an injustice, a terrible mistake, a travesty, a tragedy, a tragesty, a ludicrous and irrational decision, a disaster, a hideous wrong to which the only appropriate response will be ruthless and ceaseless war against the caucus members who allowed this to happen, and against the shadowy forces pulling their strings (the highly secretive and vindictive neoliberal cabal in charge of everything in Labour, and who also happen to be homosexual, which we don’t have any issue with at all, no not at all, and some of my best friends etc, and anyway they brought the issue up first, and it’s not fair!). With that caveat in mind, let’s all of us on the left agree to support the winner regardless, because we can’t hope to dislodge National from the government benches if we’re still squabbling amongst ourselves. Unless David Cunliffe loses. Because if he loses there will be hell to pay, and it would be better to destroy the entire party than suffer the indignity of seeing someone I didn’t vote for become the next Labour PM. If party democracy means I don’t get as leader the person I voted for, then I say to hell with party democracy! We on the left think John Key’s a pretty lousy prime minister, who cares only for his rich mates, and has no long-term plan for this country, beyond allowing it to be stripped and looted. It’s essential that Key be removed from power as soon as possible, by any lawful means possible. That means we must above all unite and present a ferocious opposition to everything National do, without divisions, and with a relentless focus on ending National’s grip on power. 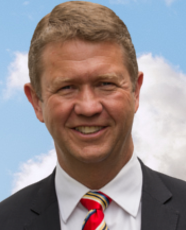 Except if David Cunliffe loses. Because if he loses the leadership contest I’ll be so mad that I’ll probably vote for National in 2014, just to teach Cunliffe’s enemies a lesson. Humour a little too subtle for me.